Lord Francis Butler ruthlessly leads a group of billionaire businessmen in their quest to control the last of the planet’s resources. Driven on by the discovery of a methane release that could alter the world’s sea-level, with catastrophic consequences, they will stop at nothing to secure their wealth and fortunes. Will their actions help the world to preserve the remaining resources, or are their motives more sinister? 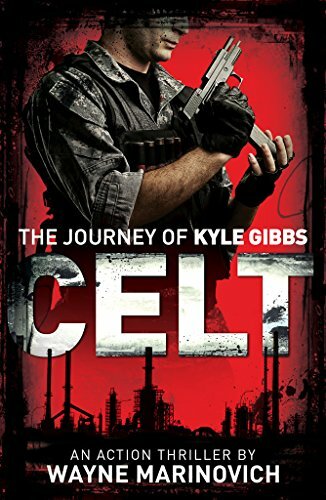 Sergeant Kyle Gibbs is a disgruntled Scotsman, who after serving as an SAS team leader for a disintegrating British Government, jumps at the opportunity to become a mercenary for this secret Billionaires Club. After a failed incursion into an oil-rich country, Gibbs, and his team are left at the mercy of the African Continent as they scramble to get back to England and find out which one of their paymasters set them up to fail. With the initial signs of climate change affecting London, they race through the poverty-stricken city streets, trying to expose the traitor.